Protect any metal surface with powder coating, a process performed by the professionals at All Js Powder Coating Service, in Niagara Falls, New York. We perform this protective practice in an environmentally friendly manner to ensure your materials are adequately coated in a harmless way. We can handle parts up to 20 feet long and no job is too small or large. At All J's Powder Coating we operate with tight tolerances and visually inspect each part to meet your exact specifications. With our new ovens we can now powder coat parts as large as 20 feet long and 8 feet high. 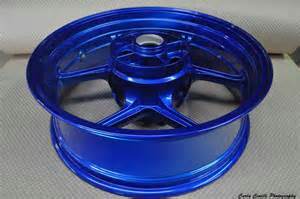 owned business to have your industrial parts, boat parts, motorcycle frame, or any other type of equipment powder coated. This process takes only minutes to complete, and approximately 20 minutes to dry. 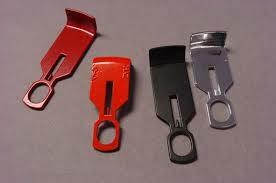 The preparation process is key because it is important that the powder coating stick to the equipment. Any coating that is sprayed is checked with a meter for thickness. Choose from more than 6,300 different colors to coat your equipment. We use Gema Optiflex2™, state of the art powder-coating equipment, to apply the product. This type of equipment is manufactured in Switzerland, and features cutting-edge ergonomics that can even handle the application of metal flakes and areas hard to get. Prior to powder coating, we etch your equipment to remove all impurities. Etching is included with each job. Welding Services are also available at All J's.